Cramo is launching a group-wide Christmas campaign this December, which captures the creation of an unusual construction project – a big and creative gingerbread house designed by a child and built with the help of Cramo. The building of the gingerbread house will be presented on Cramo’s social media channels throughout December, showing how Cramo’s equipment was used to create a building which is not what you see every day at the construction site. 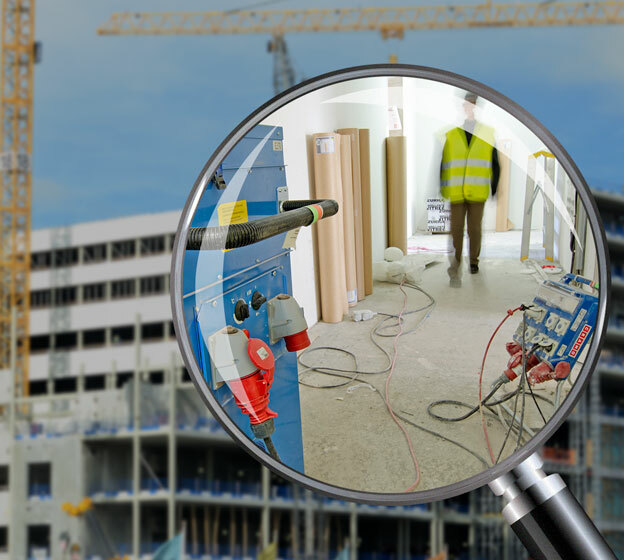 The project shows that with the right tools and expertise, the only limit is imagination. 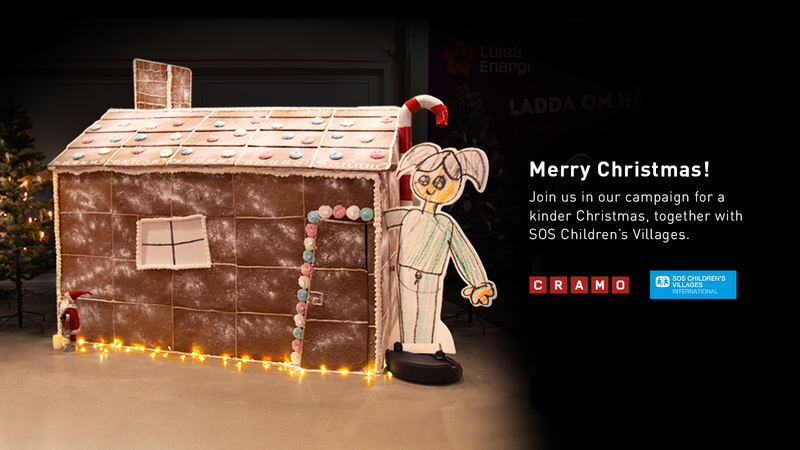 As a part of the Christmas campaign, Cramo is starting a fundraising campaign with SOS Children’s Villages to activate support for children in need of a safe home and future. 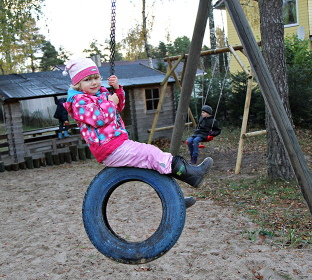 The fundraising continues the cooperation that Cramo and SOS Children’s Villages have had since 2008. 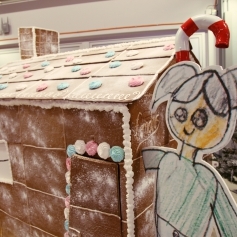 The gingerbread house was built in mid-November in Luleå, Sweden, with the help of a local Cramo depot. 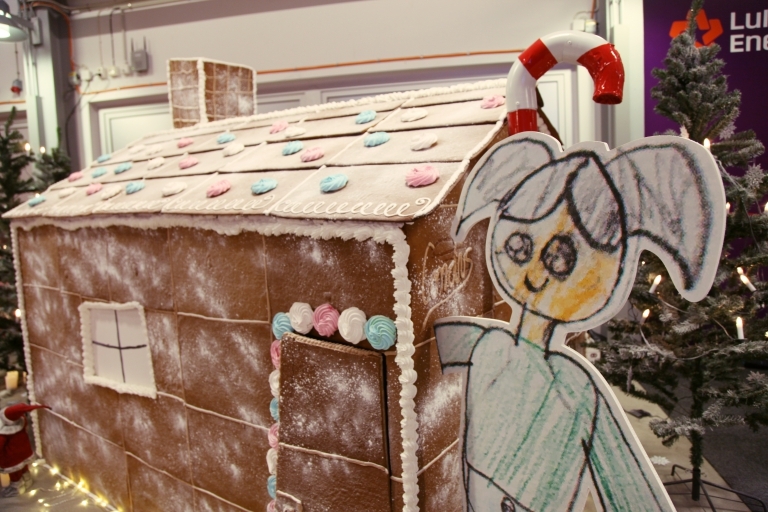 Cramo arranged a drawing competition for a local school class at Mandaskolan, asking the first-graders to sketch a gingerbread house of their dreams. 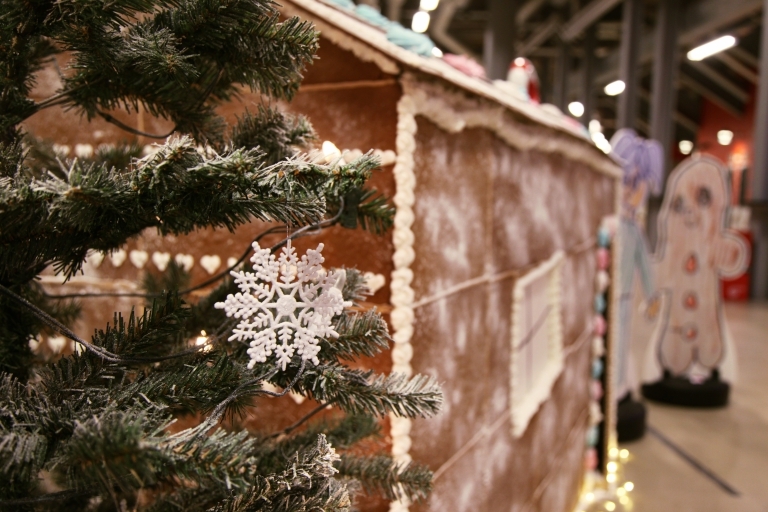 The winner of the competition, Asta Lövgren, got to see her dream come to life as Cramo in cooperation with a local confectioner Nicklas Lind and a carpenter Tommy Robén put together a 4 m³ gingerbread house in Coop Norrbotten Arena. 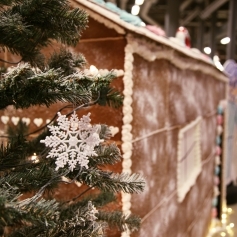 The creation of the big house took 180 kilos of gingerbread dough, 16 kilos of icing and 60 hours of work. 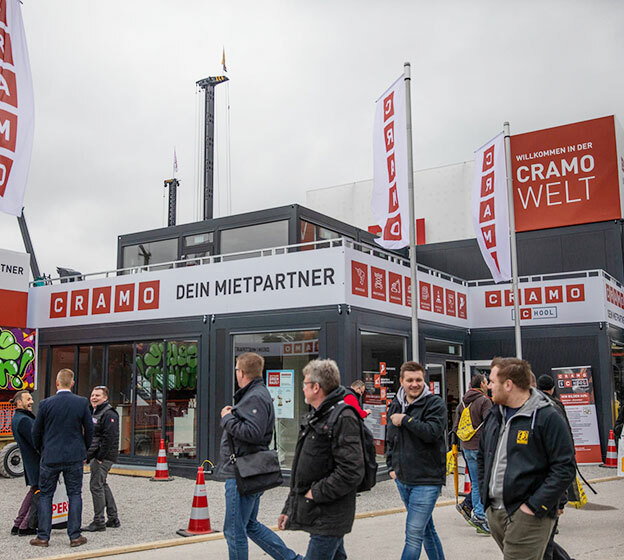 Cramo’s equipment from lifts to saws were put into an unexpected use while putting the house together, showing that Cramo has the solutions for every need. 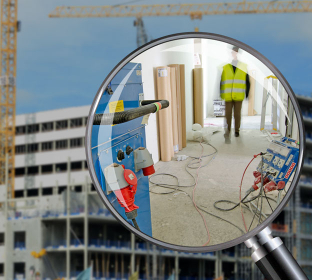 The entire project was documented from start to finish and the result can bee seen on Cramo’s social media channels during December. As a part of the campaign, Cramo starts a fundraising with SOS Children’s Villages that will be active for December in Cramo’s operating countries. The fundraising continues Cramo’s commitment to support children who have lost or are at the risk of losing the basic parental care. The donations will be allocated to Cramo’s existing contributions to the Baltic States. Donations can be made through a campaign site which is open throughout December. The target number for donations is 10 000 EUR – we encourage everyone to help us reach the target and to donate for a good cause in the spirit of Christmas.